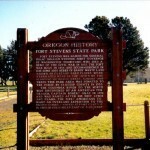 Fort Stevens was named for General Isaac Ingalls Stevens, first Governor of Washington Territory, who died a hero of the Civil War of 1862. The fort was built in 1846 and decommissioned in 1947. Some 3000 acres of sandy wasteland known as Clatsop Sand Plains were stabilized here in the 1930’s by the planting of beach grass, shrubs and trees. This park area was donated to the public by Clatsop County in 1955. The Columbia River to the north was discovered by the American fur trader, Captain Robert Gray in 1792 and was named after his ship. 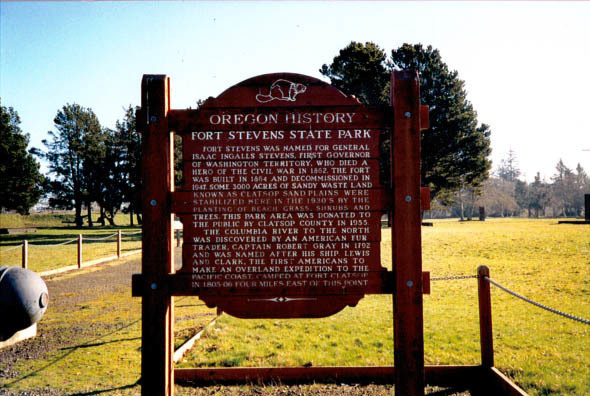 Lewis and Clark, the first Americans to make an overland expedition to the Pacific Coast, camped at Fort Clatsop in 1805-06 four miles east of this point.